Contractor Alun Griffiths have started work on the second phase of the canal restoration works this week (w/c 26th March) which will include construction of a towpath on the western bank (the opposite side to the Waitrose store). The towpath is supported by a steel sheet pile wall and a number of measures are required to ensure that the installation of the piles is carried out in a safe and efficient manner while minimising disruption. In order to complete the works a temporary working platform is required to support the equipment needed to install the sheet piles. Griffiths will place platform within the basin of the canal and this will require the waterway to be drained while the towpath works are completed. Works to drain the canal have started and will take a couple of days to complete. During the operation Griffiths will be safely removing any fish from the canal and returning them to the waterway to the north of Beavans Bridge. Once the canal is fully drained Griffiths will remove excess silt from the canal basin ahead of constructing their working platform. 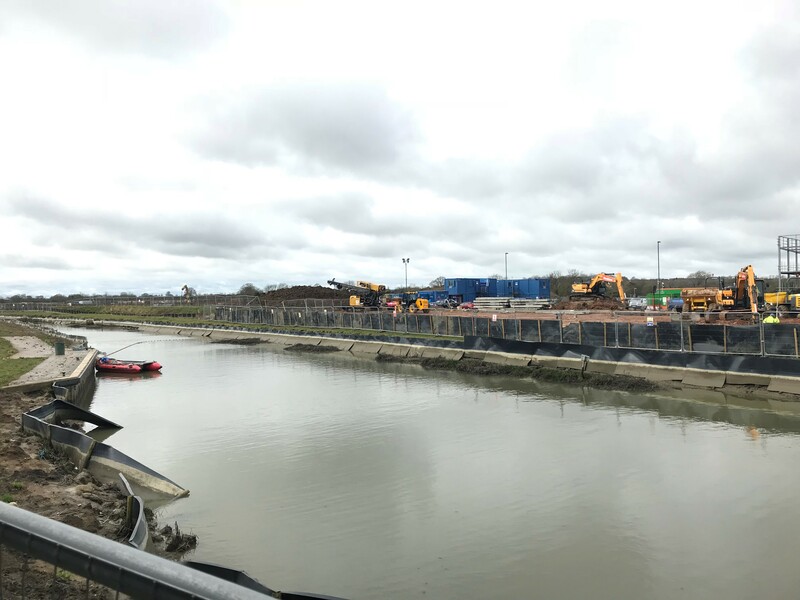 It is anticipated that this will be completed by late April, dependant on the amount of silt found, when the installation of the sheet piles will commence. Pile installation will be carried out using modern purpose built equipment which is capable of driving the sheet piles through the stiff underlying clay. This technique has been chosen to minimise the noise and vibration often associated with piling activities and the nuisance this might cause. Every effort is being made to ensure that any disruption to neighbours is kept to a minimum and works will be strictly limited to weekday daytime periods. Griffiths will follow on with construction of the towpath and associated works using the same platform before removing it and returning the water to the canal in late summer.